Bermuda is well-poised to remain a global trust market leader due to the passing of competitive and modern legislative reforms in the last twelve months and current infrastructure, however, the island should also contemplate opportunities to solidify its industry-leading position, such as the introduction of a law providing for foundations, according to a trust litigation seminar hosted by Appleby. These were just several topics discussed during “Tempestuous Trusts”, a trust litigation seminar hosted by Appleby on Thursday 30 October 2014, and presented in partnership with the Society of Trust and Estate Practitioners’ [“STEP”] Bermuda branch, international law firm Baker & McKenzie and London Barristers’ Chambers XXIV Old Buildings. The seminar featured overseas speakers Baker & McKenzie Partner Anthony Poulton and Associate Henry Garfield, and XXIV Old Buildings Barristers Elspeth Talbot Rice QC, Stephen Moverley Smith QC and Andrew Holden. 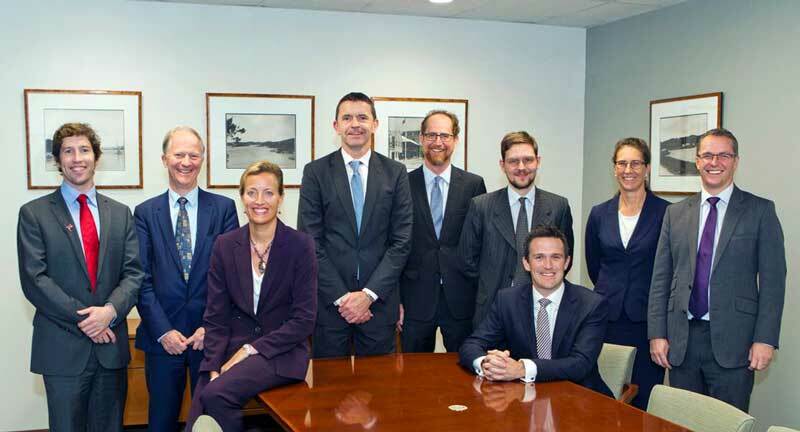 Bermuda presenters included STEP Bermuda Chairman Jonathan Dunlop and Appleby Partners Keith Robinson and Vanessa Schrum, and Senior Associate Ashley Fife. Over 80 delegates attended the full-to-capacity event. Delegates included local trust professionals, lawyers, regulators, private bankers, investment brokers and family office managers, who heard views on reserved powers, ideas to improve Bermuda’s market position and to enhance its legislation, how to deal with compliance risks and regulatory authorities, and how the island as a top trust jurisdiction can remain a leader in a competitive market.